Each Fox Lake, Illinois bed and breakfast welcomes you to discover life in the Chain Lakes! When you look for Fox Lake, IL lodging, we invite you to consider a local inn, where you can relax in a home-like atmosphere. Unlike a Fox Lake, Illinois hotel, our area bed and breakfasts offer comfort and a place to leave your cares behind. 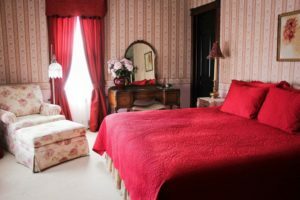 Whether you seek a romantic setting or just want to feel like you’re getting away from it all, Fox Lake inns aim to please. Fox Lake was a favorite vacation spot of Al Capone in the 1920s, and a visit to our town will show you why. With the sparkling waters of our area lakes beckoning and numerous nature preserves and parks, Fox Lake is a nature-lover’s dream. And our friendly community will make you feel like a cherished guest. Member inns of the Illinois Bed and Breakfast Association welcome you to discover our little resort town. Enjoy your stay!